Here at the Mill Garden Centre we have one of the biggest selections of grafted pines and conifers in the U.K. 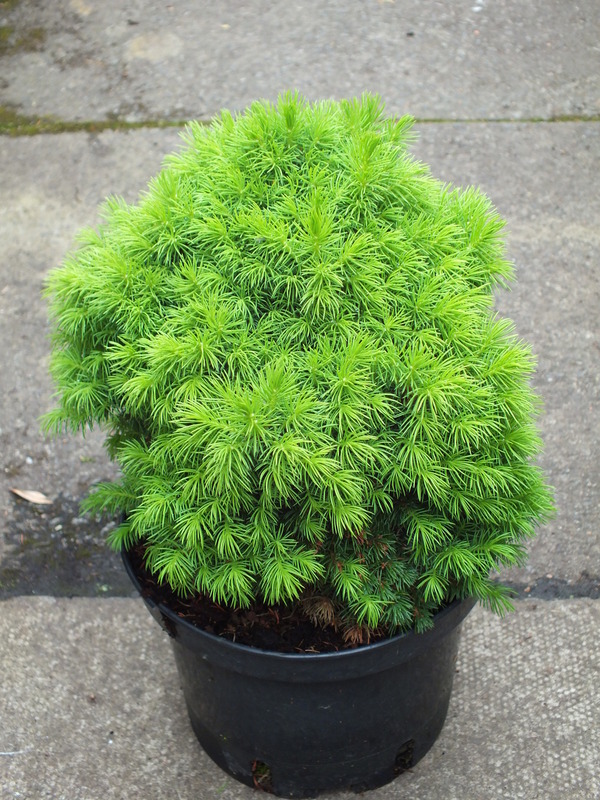 This group of conifers differs from usual conifers which are normally grown from cuttings, since they are always produced by grafting - mainly onto dwarf or slow growing rootstocks to produce a plant with more unusual form or shape than the norm. Most of the species produced in this way are pines although a number of Piceas, Abies and several other types are available in smaller numbers. Grafted conifers make ideal specimen plants for rock gardens, conifer gardens, gravel gardens or as feature plants in ornamental containers. Pinus mugo Wintergold is a classic example of a grafted pine with stunning golden yellow needles all winter. Most of the grafted conifers available require a well-drained site, particularly members of the Pinus family, although most Piceas will tolerate damp sites. The addition of peat or composted bark before planting is essential to provide good growing conditions. Nearly all varieties of grafted conifers are happy in most locations, although a few require more sheltered sites. Fertiliser requirements are - bone meal when planting, a light application of fish, blood and bone meal in early summer or liquid Maxicrop seaweed fertiliser monthly from May to September should suffice. Below is a list of the Conifers we have in stock at the moment.